I am not, and never have been, scared to use the “F” word – that is, I call myself a Feminist. My philosophy is a simple one: women are not the SAME as men, but women deserve EQUAL rights and respect as men. This is not to say that the interpretation and application of this philosophy is simple but it is to say that all our thinking on how we live, how we (as humans) should be treated and how we should treat others needs to start from this fundamental principle. Books and reading have of course fed my thinking on this issue … and so today I’m listing a few books that have meant something to me. They are not, all anyhow, the usual suspects, but they are books that have remained in my consciousness years after I read them. Most of the books I’m going to list here are non-fiction but we litbloggers know the value of fiction in presenting and analysing human thought and behaviour, in showing us how we are and/or how we could be. Atwood’s The handmaid’s tale depicts with horrific clarity how we could be. It’s a dystopian novel, a cautionary tale; it describes with horrendous, gob-smacking clarity what could happen if we don’t remain vigilant about women’s right to equality. If you haven’t read it and you wonder whether Feminism’s for you, read this book before you make up your mind! Lives, for example, lived by women. Dawson goes on to say that Jane Austen provides “a picture of England itself”. I love his recognition that fiction can provide us with social history … even though the rest of my list is non-fiction. Anthropologist Diane Bell describes objects in women’s lives and how women pass them down from generation to generation. If I tell you that one of the chapters is titled “Darryl got the farm and mum got the pearls” you’ll get the picture. The book draws from interviews she conducted with several families of women. The women talk about pianos, sewing machines, textile crafts, jewellery, china, books, and so on, describing not only how they are passed down through the female line but also the memories these objects invoke – and what they tell us about women’s lives then and now. It’s a beautiful book, that I’d love to quote from if I had the time. I read it when it came out, and I think of it often. Holmes is an historian and this book, like Bell’s, provides an insight into women’s lives – but through their diaries rather than through interviews. The book, also like Bell’s, is organised thematically but instead of by type of object hers is by women’s roles and life stages. The descriptions of women’s work (in the days before labour saving devices) are exhausting! She also describes the way women were expected to give up their dreams to help others – to take over a family when a sister dies or becomes sick, for example. Unmarried women, in particular, were only “allowed” a life of their own for as long as someone else in the family didn’t need them. Another book I haven’t easily forgotten. This is, probably, a strange book for me to include, mainly because Garner made me so MAD. Garner is a feminist but her response to the incident at Ormond College did not sit well with many feminists, me included. As I recollect, the incident involved the master of the College, the man in power that is, making untoward (read, unwanted) sexual advances to two students at a College party. When the students complained to the College hierarchy, they did nothing, so the two young women went to the police. Garner argued they should not have done that, that they should have simply, literally or metaphorically, “slapped” the man and got on with their lives, leaving him and his reputation secure. She felt their reaction was not mature and was taking the issue of harassment to unnecessary levels. But, for me, there were two significant issues that made me disagree vehemently with Garner. Firstly, the young women tried to complain within the College system and got nowhere. Had the College taken their complaint seriously, the situation could very well have been handled quietly and with a rationality that could have worked for all parties. But, the College didn’t. And secondly, this was a situation of power. It’s (depending on the situation) one thing to receive an unwanted advance at a party from a peer. Garner’s suggested response could very well be the appropriate one BUT, and I think it’s a big BUT, it’s quite another thing to receive such an advance from someone with real power over you. I’ve listed this book, though, because Garner is a great writer and so very honest about her views and feelings. We need more honesty like this, and more willingness to confront the issues and tease them out … and that, of course, is the other reason I’ve listed it. It got some issues teased out, albeit, for some, in an emotionally charged and hurtful way. … and that, as they say, is that. I’d love to know what books have contributed to your thinking on women’s rights (or, indeed, on any issue of importance to you). 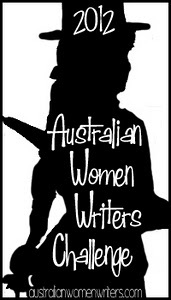 * Most of the books I’ve listed here are Australian but, given the topic is International Women’s Day and given the significance (to me) of Atwood, I had to include her here. This is a great list for IWD, you’ve inspired me to think of my own, thankyou. Thanks Melissa … I’ll be interested to know what your list comprises. Thank you – its a great list you’ve given us! And back atcha Sigrun … thanks. Amen, sister[-mother-friend]. I may not have read these works, but I had you to guide me, and that made for an incredible feminist role model. Did my best! And from what I see it seems to have worked! Happy International Women’s Day! Bell’s book sounds fantastic as do the diaries. I’m going to have to see if I can get ahold of them. Important books for me were Tillie Olsen’s Silences, all of Adrienne Rich’s books but especially her essays in On Lies, Secrets and Silence and her poetry in Dream of a Common Language. Also Virginia Woolf’s A Room of One’s Own and Marge Piercy’s novel Woman on the Edge of Time. Same to you Stefanie. I wonder if you will be able to find those books … I’ve read articles by Adrienne Rich in the past but not for some time. And oh, Woolf, yes if I’d done a longer list she would definitely have been there. Good one. As for Piercy, I’ve heard so much about that one but have yet to read it. Seems like I must one day, eh? It does, Stefanie but it doesn’t unfortunately also create more time to read all these books we can find more easily! I’ve read a few of Greer’s books and will always read her (cranky) articles. I also read Simone de Beauvoir with a passion as a young woman. I remember telling my poor mother ‘I will never have children!’, trying to mimic the childless Madame Beauvoir, then went on and had four! I feel a lot of warmth for what is passed down between women, and vehemence for the many years of domestic work (and raising and disclipline and food-shopping!) that go unrecognised by society, especially by menfolk. The charms of domesticity and accomplishment (music, reading, sewing, cooking) seem to belong to another era and yet they hold households together and are the cradle of family life. LOL Catherine. I said I’d never have children too and my doctor at the time rather arrogantly (I thought) said I’d change my mind. I won’t, I said, but I did! Warmth is the perfect word … that’s exactly how these two books make me feel. The women’s voices come through so strongly and their stories, even though some of them are far different from mine, resonate. Wonderful. I couldn’t agree more. And I am thrilled to have some off-my-American-beaten-paths that inspired someone else into feminism. i have been working on my own list. I’ll finish my annotations and sent it to you. Oh good, mdbrady, I look forward to hearing/seeing/reading yours. Greer will always be my hero because she’s really the one who changed my life for the better, but I also read Simone de Beauvoir, Marilyn French and Betty Friedan. There was another one called The Motherhood Myth but I can’t *blush* remember the author’s name. I didn’t come across Atwood till much later, but I read the feisty Fay Weldon avidly too! Oh thanks Lisa … we clearly feel the same about Greer. I’ve also read de Beauvoir and French, but for some reason I never did fully read Friedan. I’ve read a couple of Weldon’s books too … should read more of her. I just posted my list of feminist books that shaped me on my blog. Mdbrady.wordpress.com. Great, mdbrady, I’ll go look at it. I too love Generations for its insight into ordinary women’s lives. Your Aussie readers may be interested to knowthey can sign get books to their local state library via inter-library loan. Oh yes, Cassmob, thanks for saying that. I do hope Aussie readers do check their libraries for these older books (and OS readers though their chances are a bit less I guess).